Browse the HEKAS online catalog. As one of the few manufacturers, we can offer the full range of Black forest clocks. 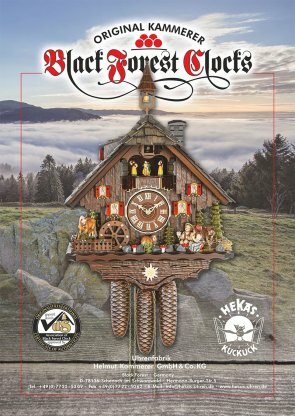 Starting with the souvenir range up to high-quality cuckoo clocks, all our clocks are produced in the Black Forest.